So far, this kit is alright...on the outside. The inside is severely lacking in detail. 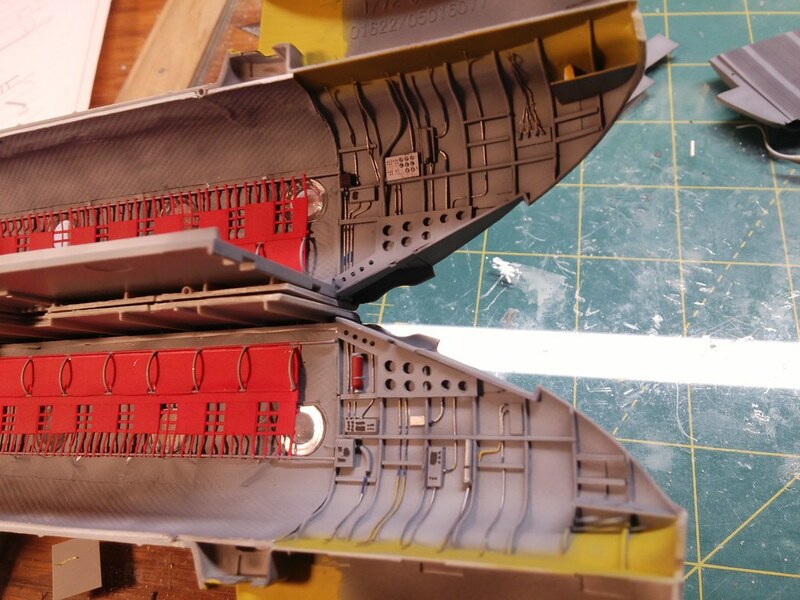 Eduard PE and some fine wires help out up front, but there is nothing for the cabin area, other than the floor. Got the office finished up...not sure yet, exactly what route I'm going to go for the rear. The office really looks great. I especially like the wiring in front of the dash. 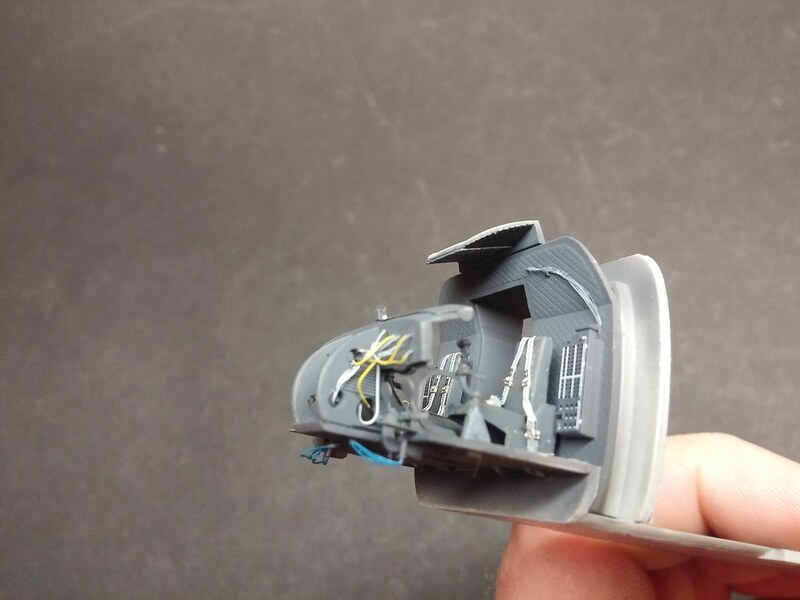 Nicestart, and ye, great work on the wiring. 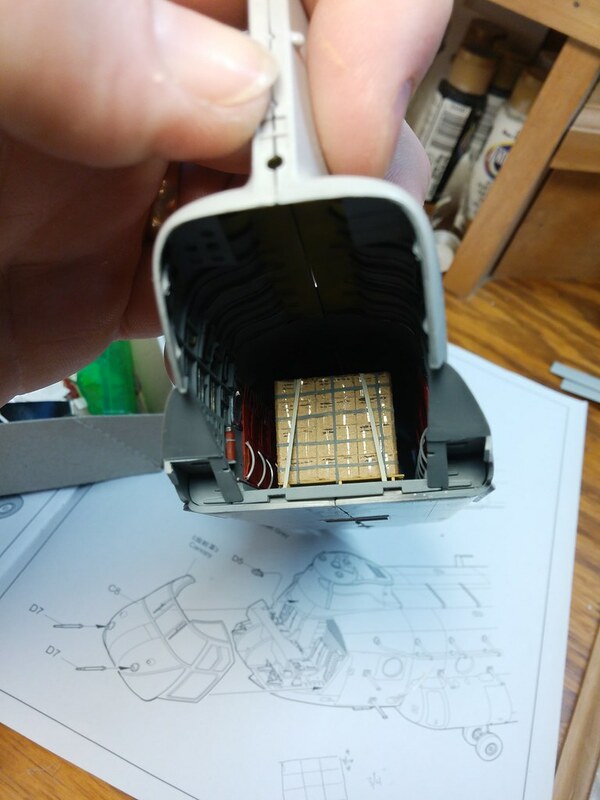 I'd like to see what you are going to do with the cargo bay - I plan to built an "A" some day and closed ramp somehow doesn't look quite right for Vietnam. 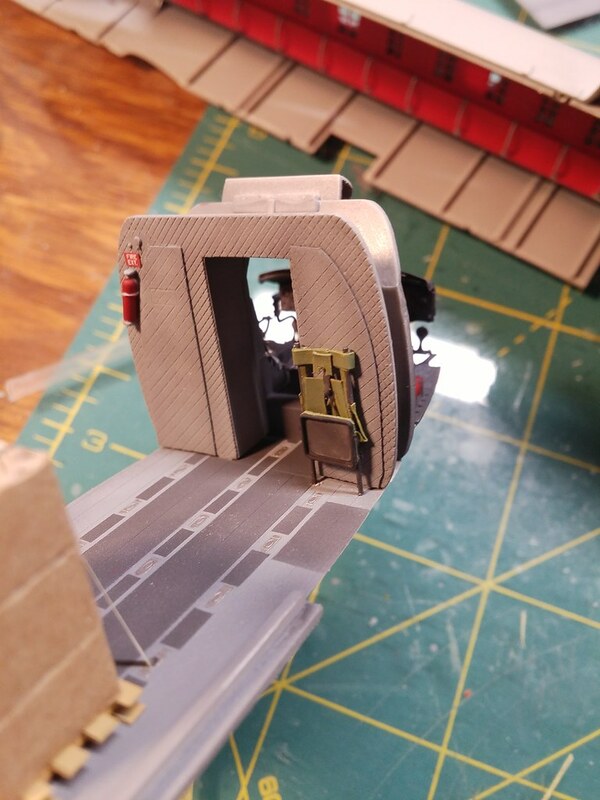 Since the rear is complete divoid of detail...one option was to scratch the soundproof padding and seats...for an empty cabin. None of which is overly difficult...until it comes time to close the halves around the floor and NOT break things. 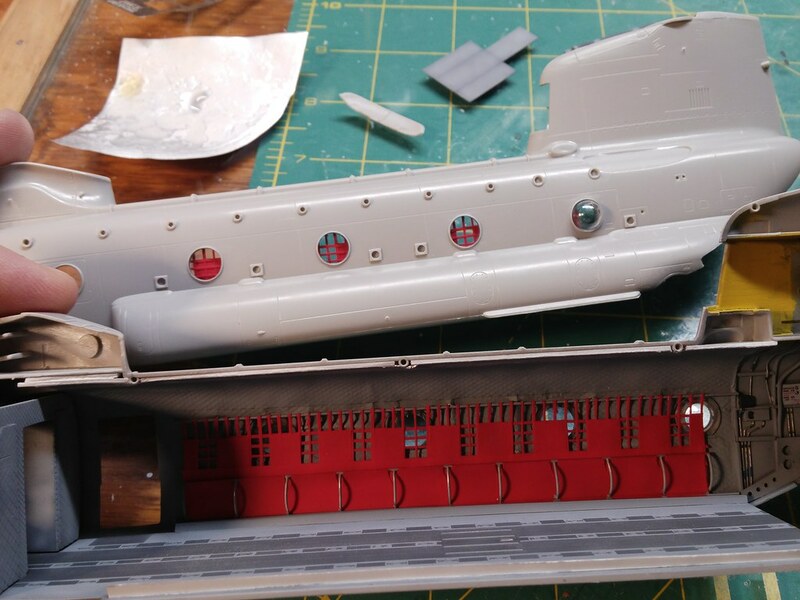 I'll still be doing a lot of work...scratching the detail toward the front of the cabin...padding, crew chiefs seats, and various details. 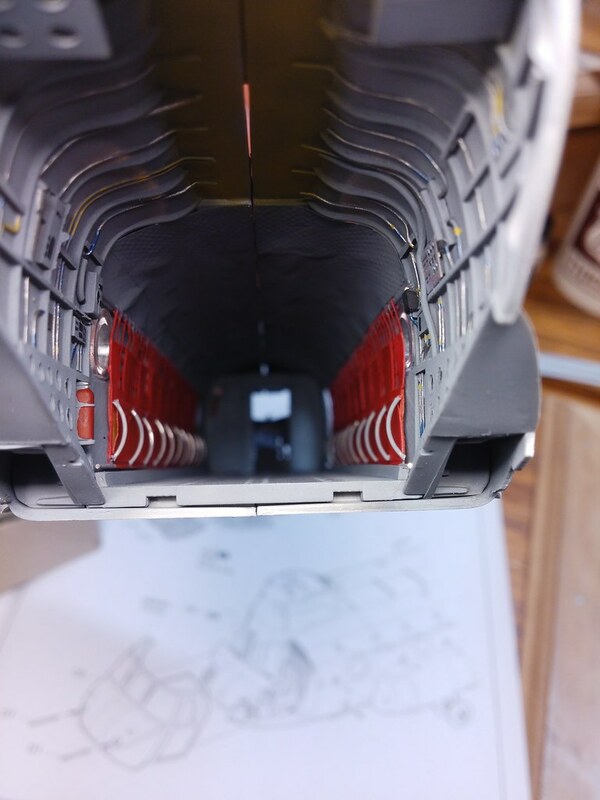 I'll also scratch up the detail toward the rear of the cabin AND the passenger seats will also have to be scratched, but will be folded up in the stowed position. 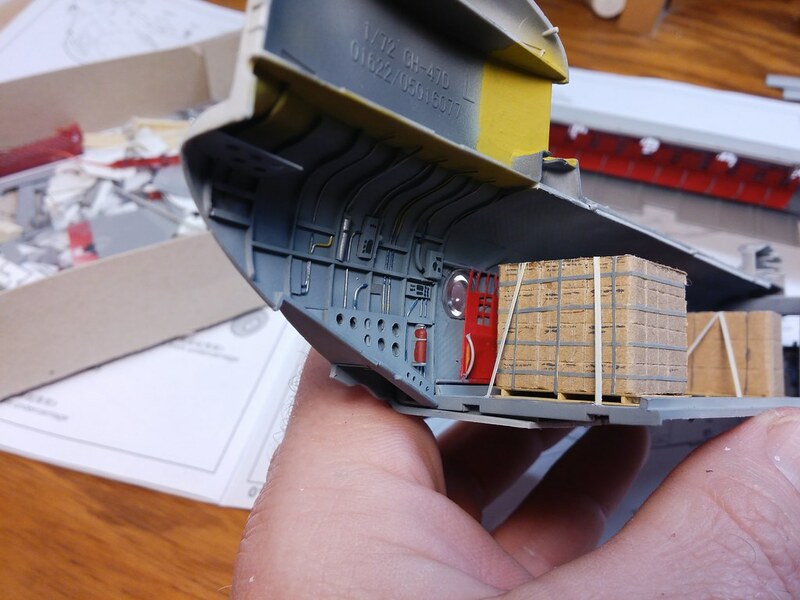 I'll load some crates inside, which not only depicts the majority of the missions this was used for (haulin beans and bullets), but also serves to hide the lack of detail in the center section. Will also save me a lot of bad words!!! 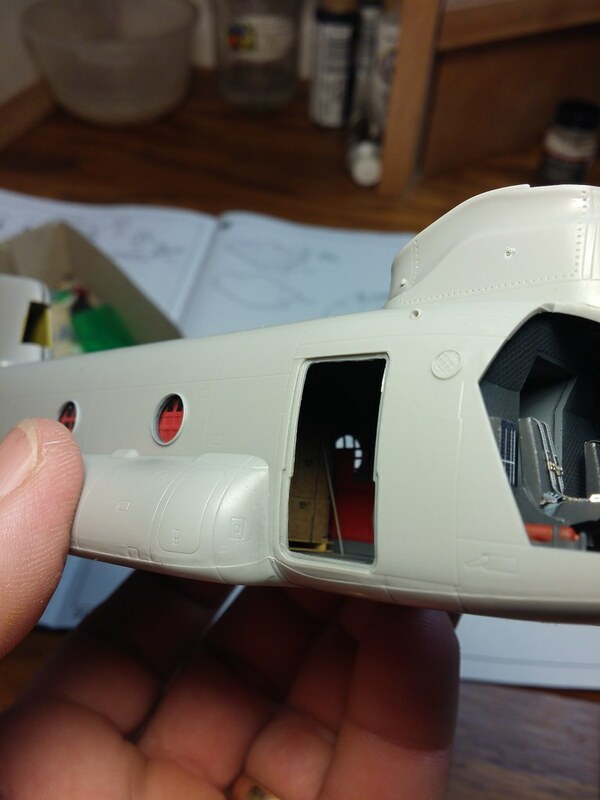 I started work on the rear cabin. 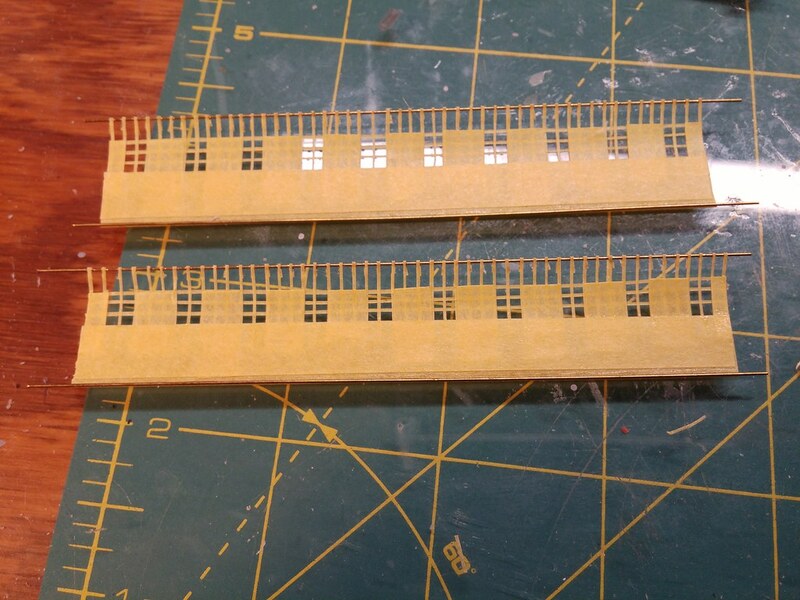 Started the padding by scoring thin plastic sheet...I did not like it. 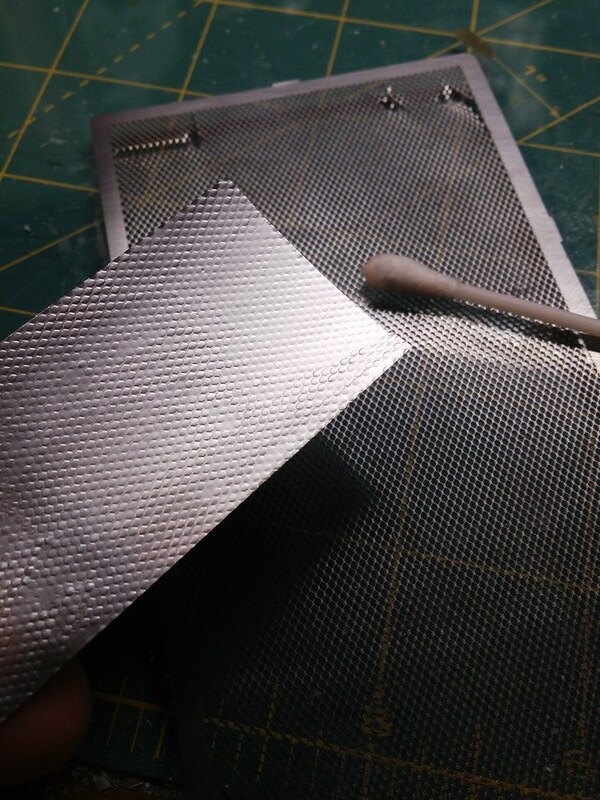 I remembered some PE mesh that I have...some aluminum foil, burnished down over the mesh with a q-tip did the trick!!! The pattern looks pretty good to me. 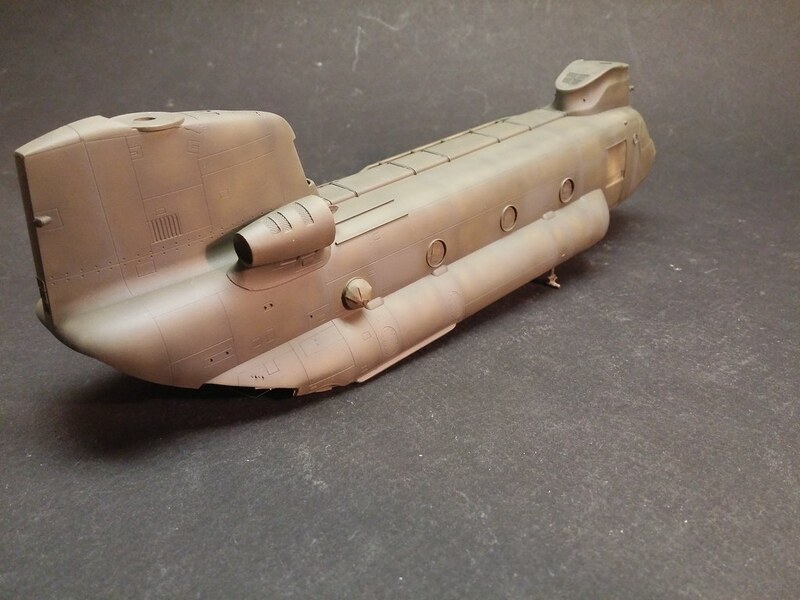 It's not particularly accurate in its application, but looks better than what the kit gives! For what little will be seen, I think this will "pass". It's very clever, and it looks good. I believe it could be sound insullation, so "Pass." I think that looks pretty good fermis, its certainly realistic enough for how much will be seen. Agreed, and the wrinkles help the effect. Nice little trick. 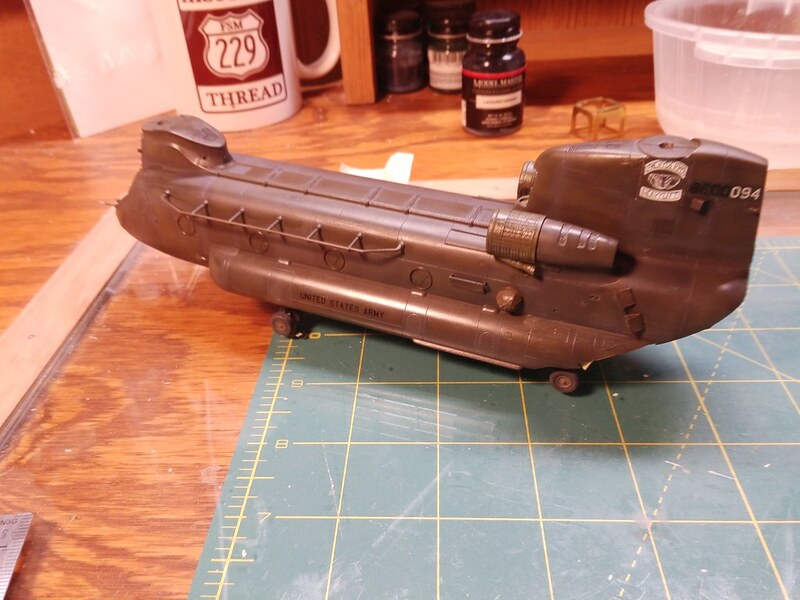 Will look great when painted and weathered. 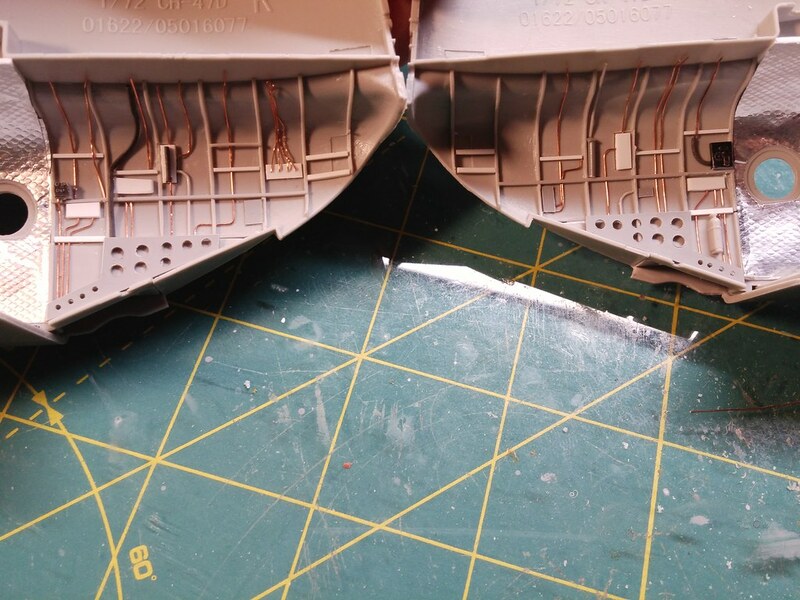 Did the same with making diamond plate corner protectors on a Jeep CJ build many years ago, using the wrecker bed floor on the old Revell Midnight Cowboy kit. All these details are loosely based on actual events....but not a true story!!! As long as the names were changed to protect the innocent. Nice job on the box's ! 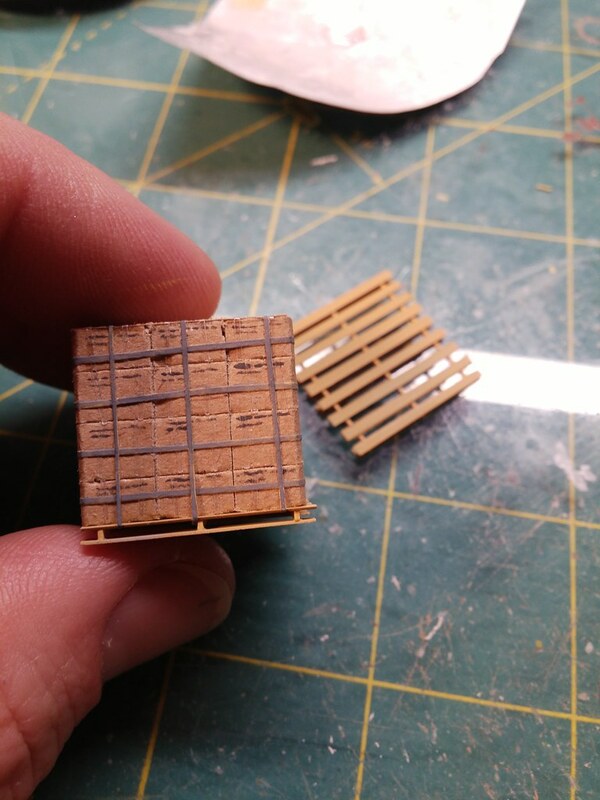 What did you use for the "banding" holding the box's to the pallet ? I use Chart tape AKA graphic art tape, but your's looks different. Come to think of it... Nice job on everything so far !! I used clear packing tape, cut into thin strips(obviously! ), for the banding on the individual boxes. 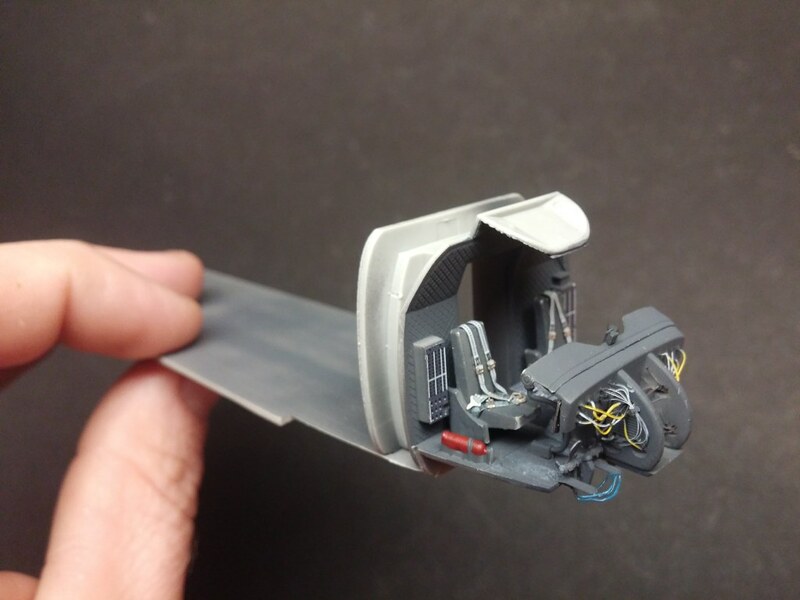 Tamiya tape, painted dark grey, to band them together and to the pallet. 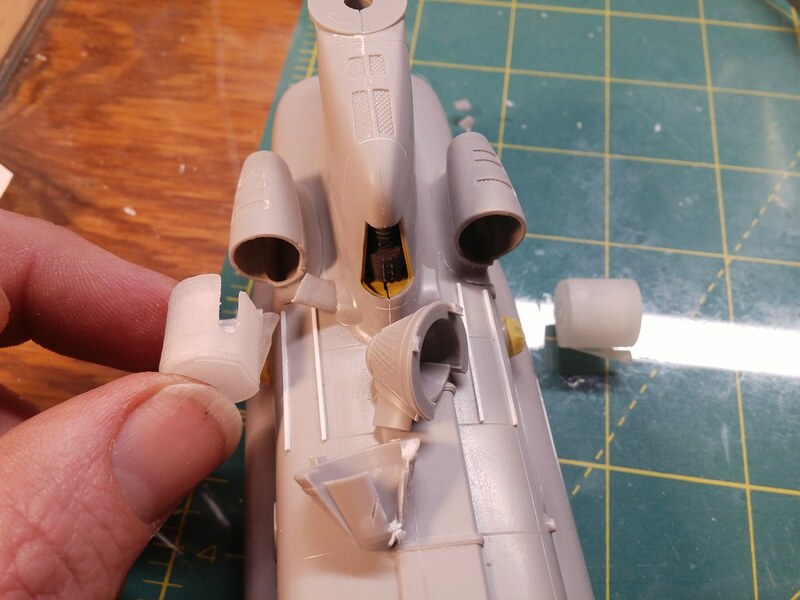 Also Tamiya tape for the tie down straps. I drilled holes in the floor to pull the tie downs through, CAed to the bottom....we're pretending the ratchet is on the other side...that can't be seen! 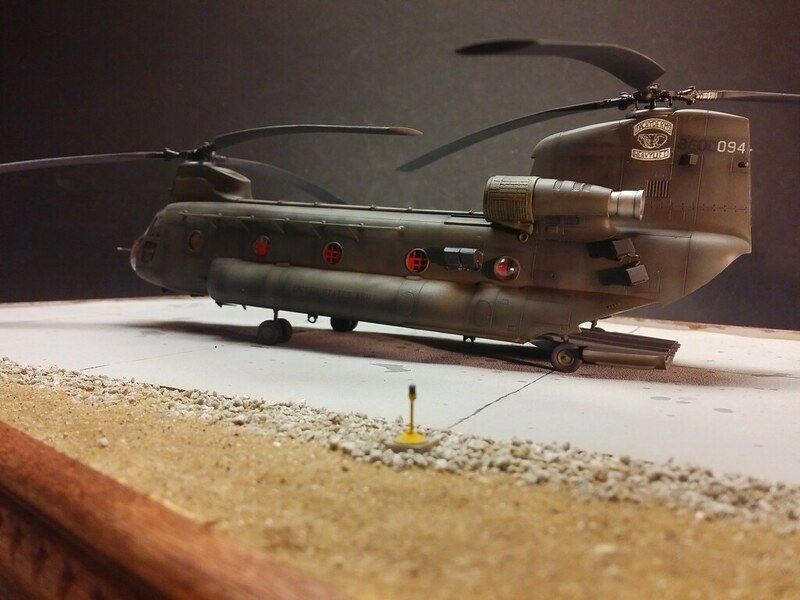 Orange you glad this is 1/72! I tried that once but it wasn't nice like yours. Stunning job on thjose seats, those have come out perfetc. And i do like that palletized loads. 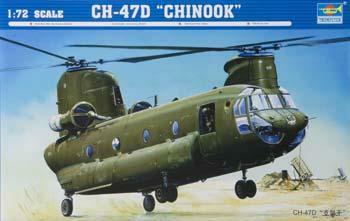 I used to look forwardto going out in the back of a Chinook to drop those out in the desert. Bloody dicey but great fun. I need an assist here! 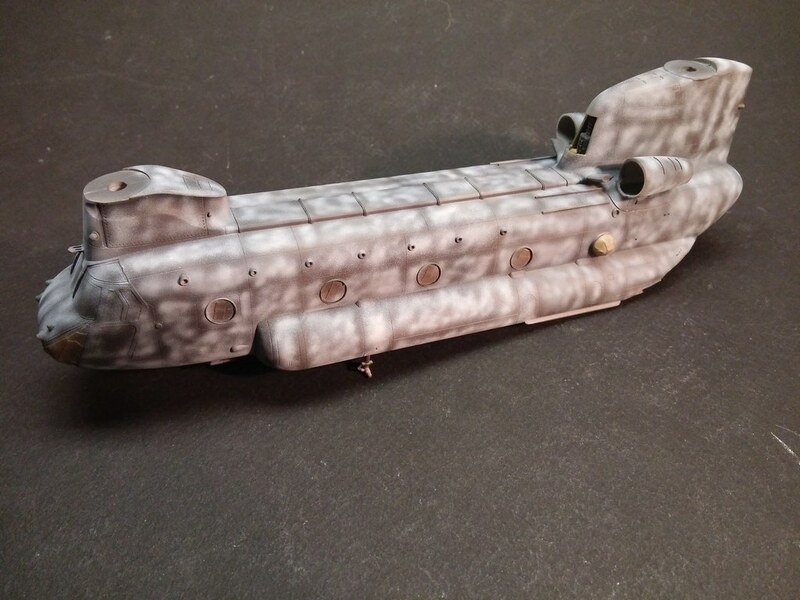 Looking at the "black box-like things" one the fuse/tail sides, and the angled "thing" between the last two windows. What are those (technical name)? 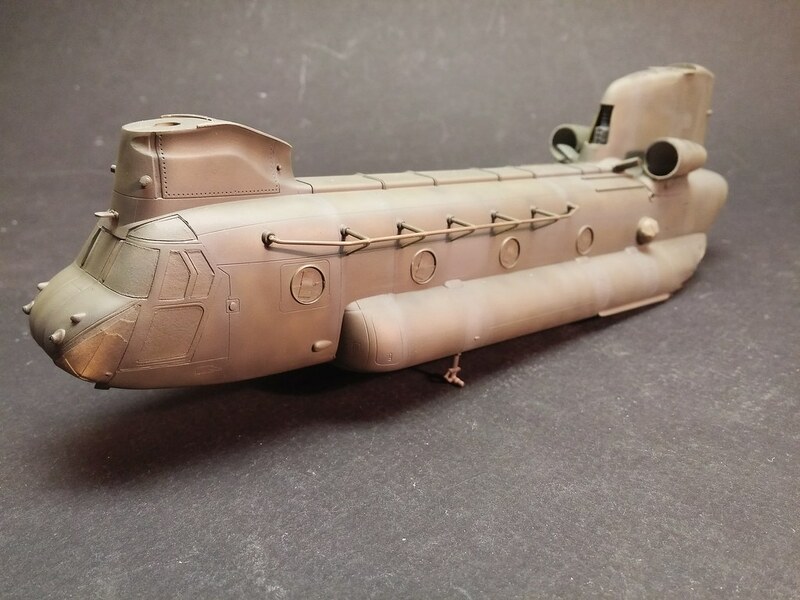 The kit does not include them, so I'll either have to find resin a/m, or find a close up, detailed pic so I can scratch em(helps, if I know what I'm looking for....beyond "those thingies on the back of a chinook!". The three plates at the rear are Chaff/Flare launcher mounts as part of the Missile Counter Measures system. The actual launcher boxes are not attached in your pic. You can see them in the below pics where the mounts are in your photo. 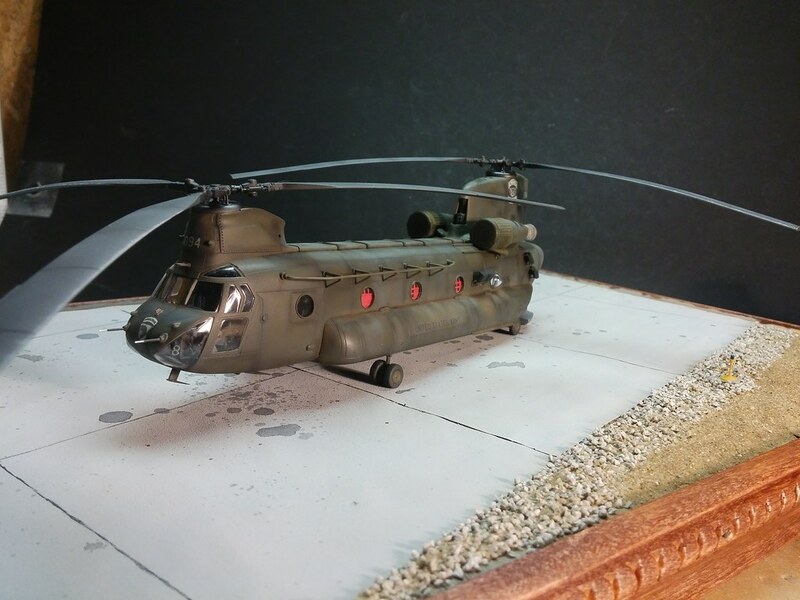 Also note that these are CH-47F models that come in this new color, which is FS34201, Woodland Desert Sage. 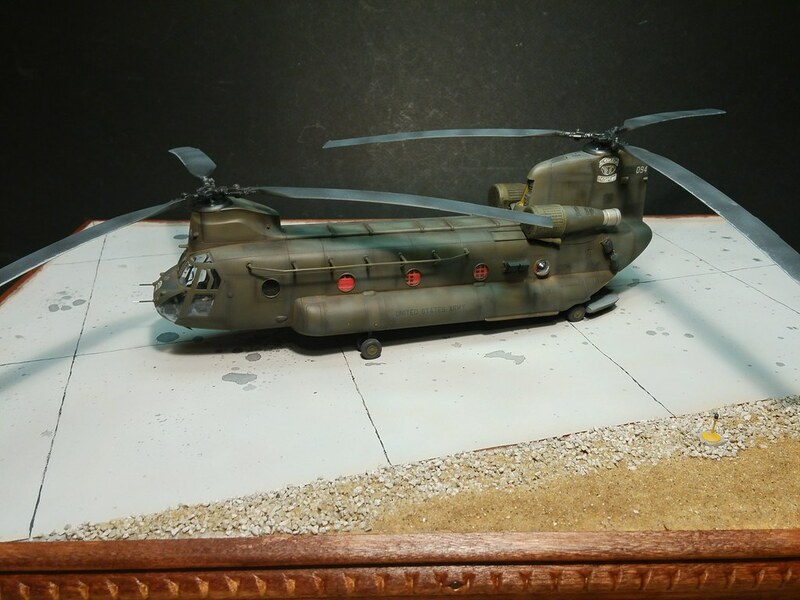 CH-47Ds are still painted in FS34031, US Army Helo Drab. Very creative. This will be a very interesting display. A bit more work on this one. 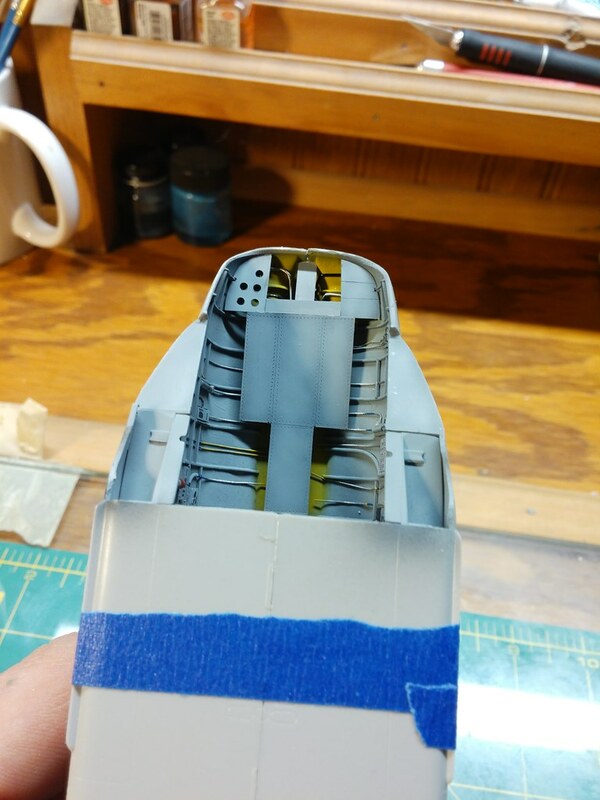 On to the paint booth. Then I went with a lightened (with OD) US Helo Drab overall...fairly thin, allowing the blotchiness of the blk/wht to show through. 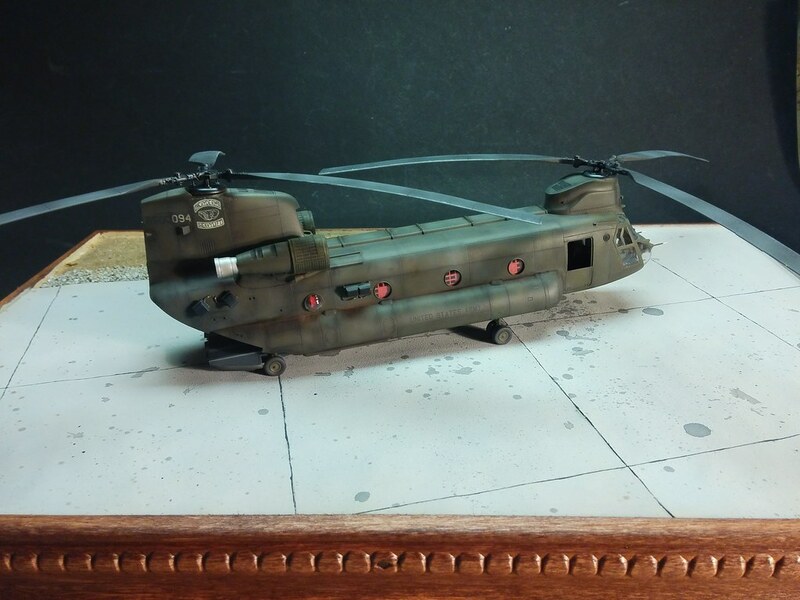 Then hit some areas with straight Helo Drab...then some more areas with a little grey mixed in. 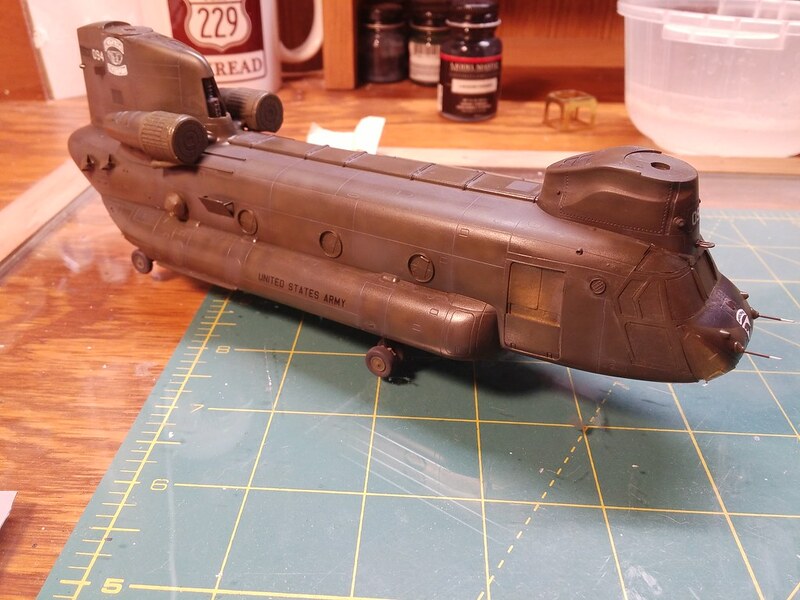 It will get some more colors after the decals go on...gotta weather them too! Looks increadible! Very nice detailing. It has been a while!!! I finally got the decals, with a little help from some friends. 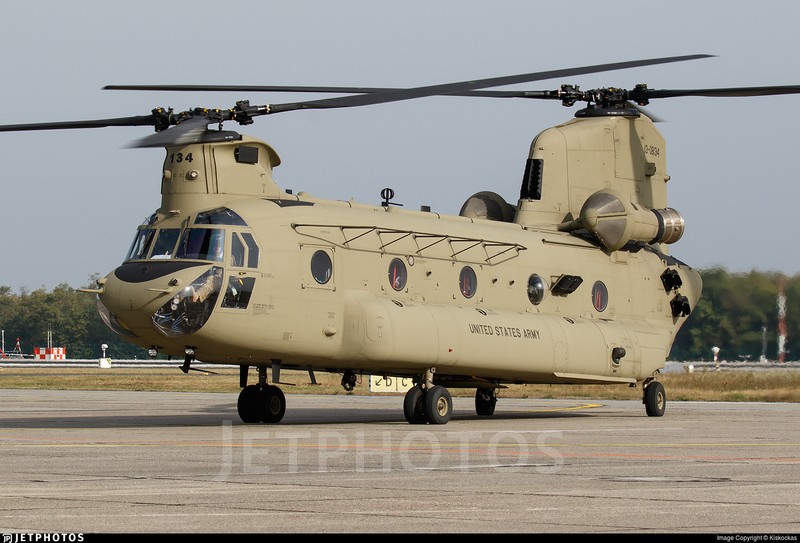 Stopped by my airport the other day, to bid a job...just happened to be a Chinook on the ramp...got some decent detail shots for the locations of the flare dispenser mounts. 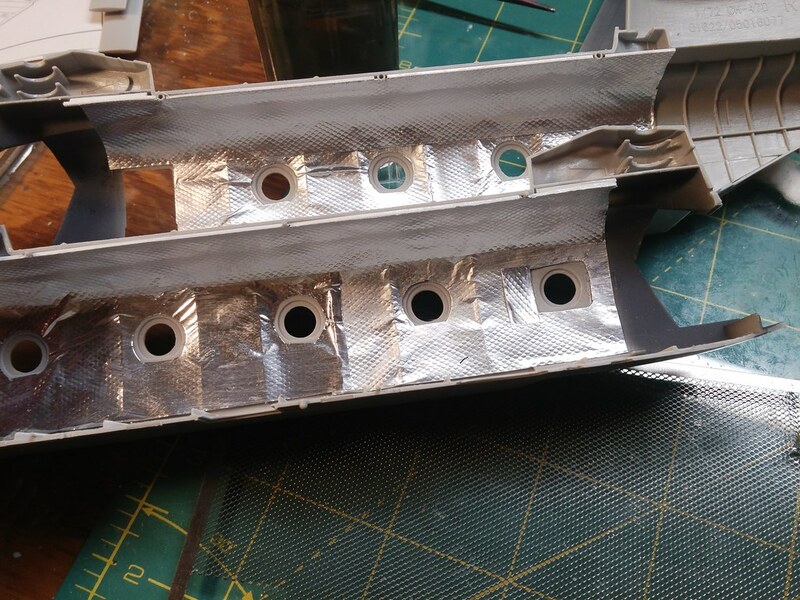 Scratched those up with sheet styrene...also made new pitot tubes with aluminum tubing. Almost finished and ready to ship out...just waiting on the glass. I was told it should have been ready to pick up friday(yesterday)...still waiting. Built the base out of some scrap I had in the garage. Painted sandpaper "concrete", some small gravel and sand. 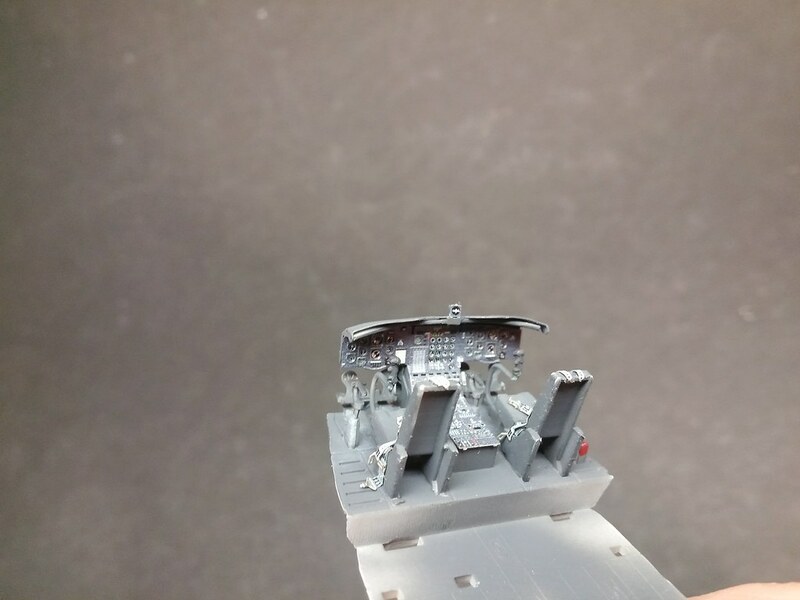 Scratched up a taxiway light just for fun. Wonderful work, inside and out! Turned out great. Really, really nice build - I'm sure the new owner will be pleased! Awesome! And I love the taxiway light. Man, I almost fell out of my chair when I saw this pic. This pic is of one of my former units bird while at Ellington Field, Houston, during hurricane relief missions after Rita hit that area in 2005. 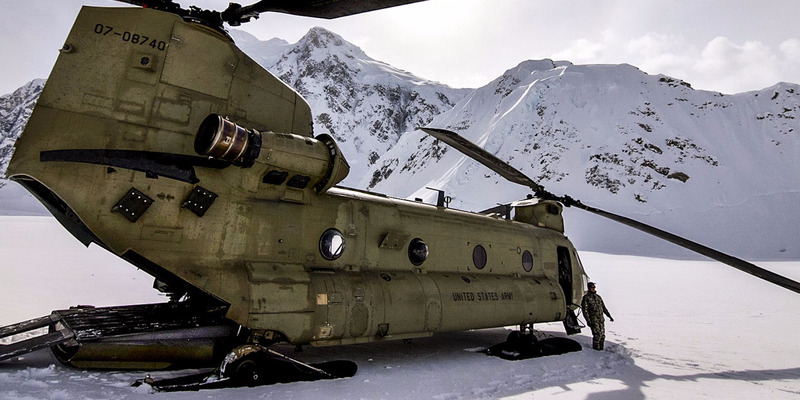 I've got a lot of flight engineer time logged on that bird, and I even know the guy sitting on the ramp. 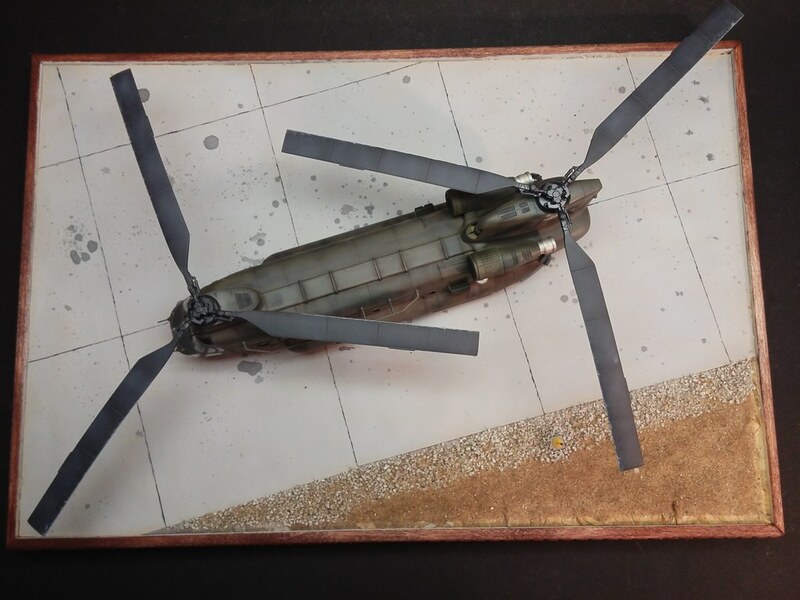 I've been away from the boards for a while, wish I saw this thread while you were building the kit, I could of recommended some fixes for the kits inaccuracies to make it a better representation of a D model. Still, nice work, looks great. Man, I almost fell out of my chair when I saw this pic. 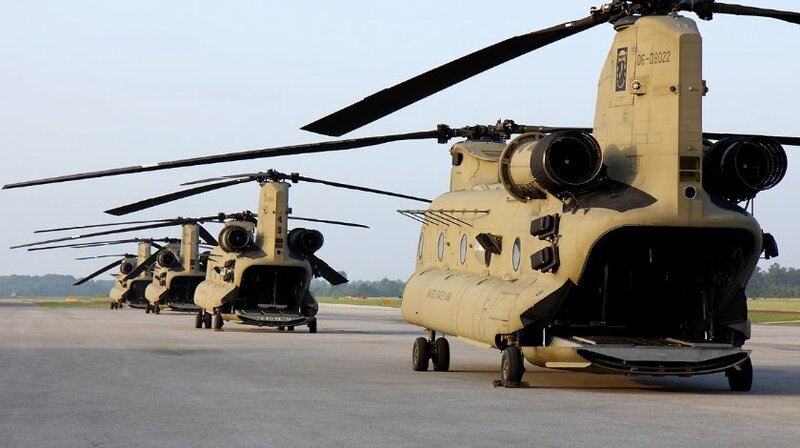 This pic is of one of my former units bird while at Ellington Field, Houston, during hurricane relief missions after Katrina hit that area in 2005. 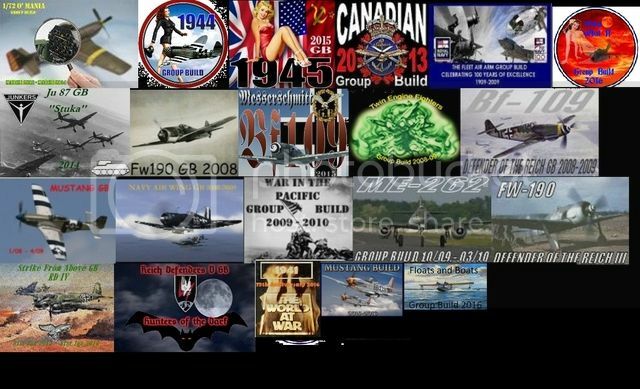 I've got a lot of flight engineer time logged on that bird, and I even know the guy sitting on the ramp. Love it! That's how I found this site in the first place. 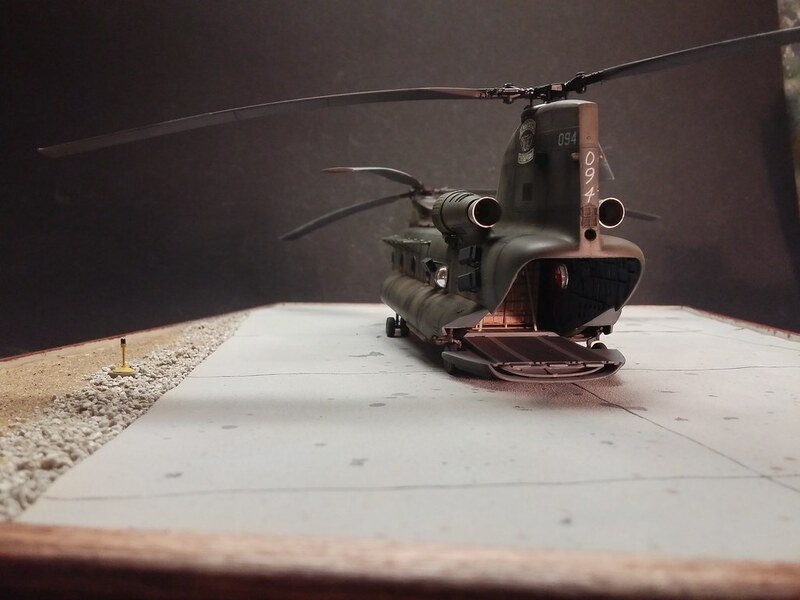 I was searching 155 towed builds and came across that beauty here and lo and behold the post showed a picture I took of one in our battery in RVN. Fermis, you are a true craftsman. Great work all-around. Some of it is jaw-dropping, really. I'm only sorry that this thread just got my attention, but glad to have found it!